To truly capture the feeling of a place, you need a lens wide enough to see the entire scene. 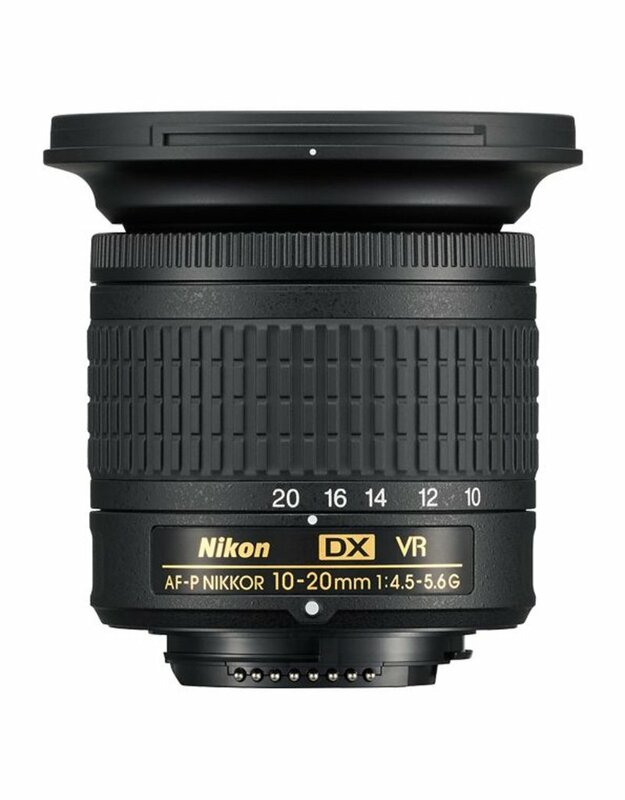 Enter the AF-P DX NIKKOR 10-20mm f/4.5-5.6G VR—an ultra-wide-angle zoom lens that's ideal for sprawling landscapes and cityscapes, architecture, interiors or just beautiful group photos. Its near-silent autofocusing and Vibration Reduction (VR) image stabilization make it a great choice for recording video, and its compact, lightweight design makes it a great travel companion. 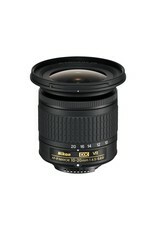 See what you've been missing with the AF-P DX NIKKOR 10-20mm f/4.5-5.6G VR. With an ultra-wide-angle view that surpasses any kit lens, the AF-P DX NIKKOR 10-20mm f/4.5-5.6G VR lets you play with composition in a new way—foreground, middle ground, background, symmetry, patterns, lines, dramatic skies and more. Get as close as 0.22m from your subject to create photos and videos with dramatic leading lines or to capture tight interior spaces with ease. 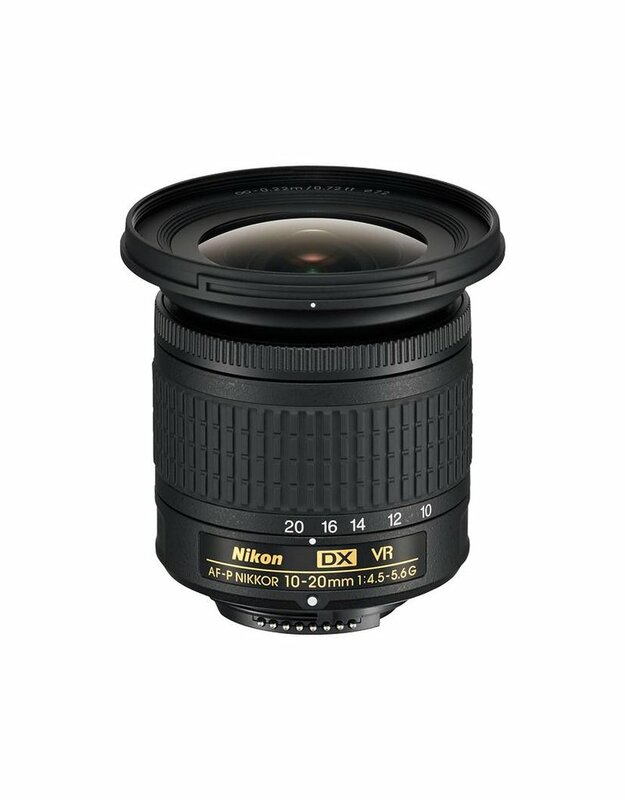 Despite its super compact, lightweight design, the AF-P DX NIKKOR 10-20mm f/4.5-5.6G VR delivers huge performance. Vibration Reduction (VR) image stabilization ensures sharper handheld photos and videos and lets you use a slower shutter speed for brighter photos in low light. Three Aspherical (AS) Lens Elements nearly eliminates naturally occurring distortion and contributes to the lens' lightweight, compact design. Super Integrated Coating (SIC) cuts through ghosting and lens flare in backlit or cross-lit situations; retains maximum color and contrast. A 7-blade aperture design gives your photo and video backgrounds a beautifully soft, round blurring effect. 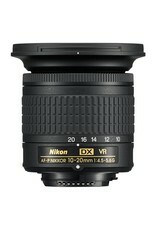 The AF-P DX NIKKOR 10-20mm f/4.5-5.6G VR focuses like a dream. When shooting video, its smooth stepping motor keeps focusing noise to a minimum. If you need to make adjustments, you’ll appreciate the silky smooth manual operation. To eliminate unintentional changes to the VR ON/OFF and AF/MF settings, those controls have been moved to the camera menu, and their status can be easily verified in your camera’s information display. Nikon's "P" series of NIKKOR lenses use a pulse motor (utilizing stepping motors) to focus smoother and quieter than previous drive systems. This quiet drive system makes the lenses ideal for use when shooting video.